The Festival brings together competitors from Wales, England, Ireland and on occasion the Isle of Man. With adjudication by a GODA (Guild of Drama Adjudicators) qualified judge, we are an open festival and have had Welsh language groups as well as groups of actors with learning difficulties and special needs. The Festival comprises of two plays per evening followed by an adjudication with awards presented after the second performance on the Saturday. This unique island festival is affiliated to the Drama Association of Wales and the winners qualify for the All Wales Finals held every June. We are also members of the National Drama Festivals Association, so that the winners are also eligible for invitation to the British All Winners Finals in July. 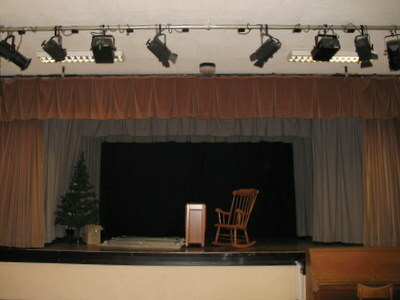 The Anglesey Drama Festival is a fully constituted group of volunteers working to raise the profile of amateur theatre on Anglesey and has been supported by Anglesey County Council for a number of years through the office of the late Mr John Rees Thomas. Doors Open @ 6.15pm Refreshments available.